The threat religious conflict poses to peace and justice has taken on renewed significance since the turn of the twenty-first century. Yet this problem was central to the origins of the modern state and nobody was more alive to it than Thomas Hobbes. The concern permeates his work but there is currently no comprehensive study of the many different strategies he proposed to secure peace and order in a world where people’s religious convictions could lead to societal divisions and civil unrest. 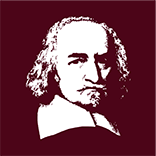 The inaugural research project of the European Hobbes Society on ‘Thomas Hobbes and the Politics of Religion’ will bring together intellectual historians, philosophers and political theorists with two goals in mind: first, to uncover and document the various strategies Hobbes employed to mitigate religious conflict across his corpus and through different argumentative modes; and, second, to assess the lasting impact of Hobbes’s strategies and evaluate how they can improve our understanding of the place of religion in society today. More information on the first workshop at King’s College London can be found here. More information on the second workshop at Leiden University, the Netherlands can be found here.